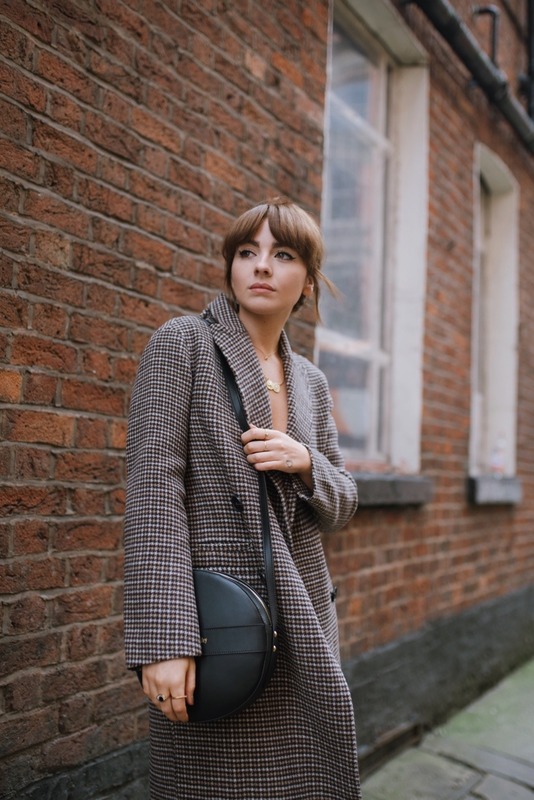 It features a really low cut front detail and a low cut back too – how can I make this work for right now? 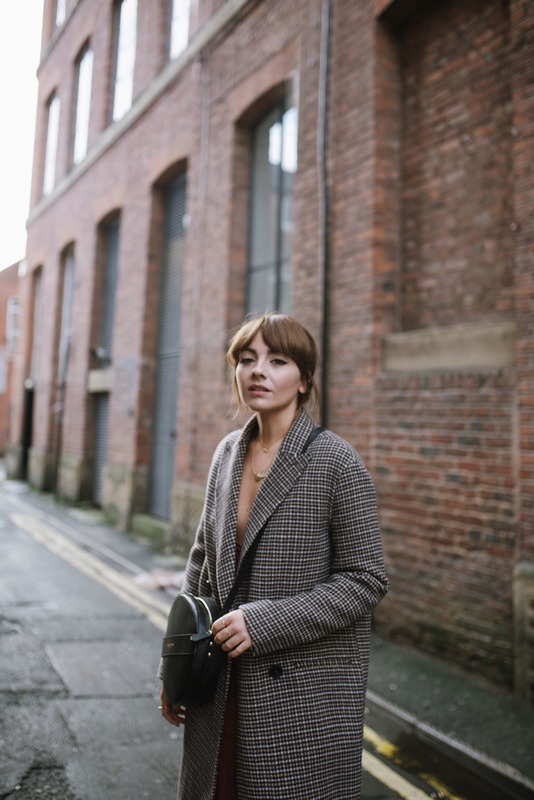 There’s nothing worse than having your style dictated to by the weather (okay there are lots of worse things, but bare with me), it becomes increasingly harder to feel good about yourself under a million bulky layers, and I’m definitely guilty of just relying on jeans seven days a week. 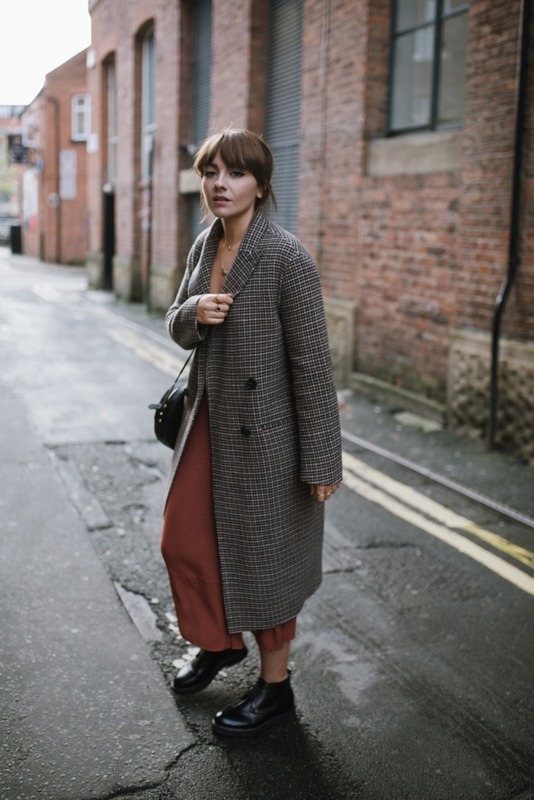 I looked around at some of the new statement coats I’d acquired and threw a check one over the top – I love how the rusty orange colour of the dress suddenly makes sense as an autumnal piece, and the coat stops me from feeling like I have too much skin on show. 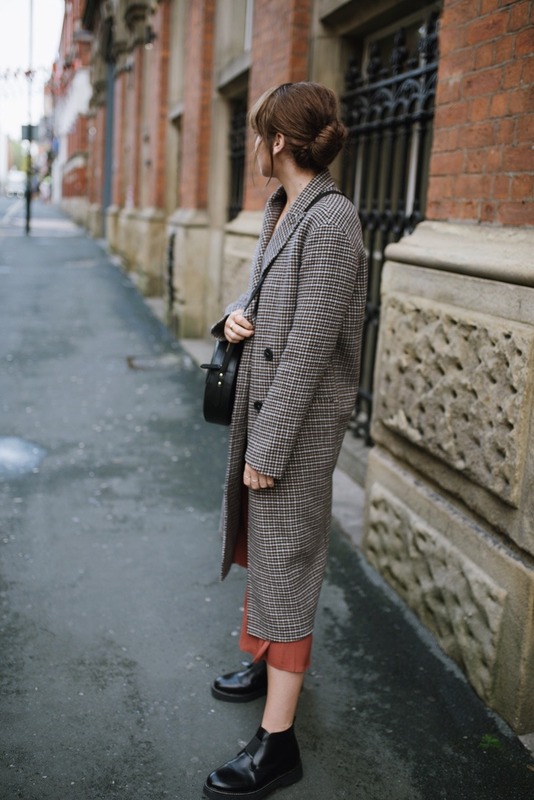 Throw some chunky ankle boots into the mix and it’s a look that could easily be switched up for both day and night – I could even add a scarf and some sheer black tights for added warmth! Me encanta que le hayas dado más uso a las prendas de verano agregandoles un abrigo. Queda genial. Kinda in love with this look, so classy and feminin at the same time. Love it !